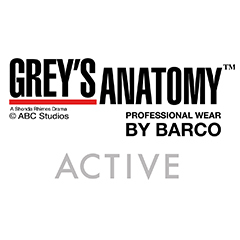 Features a stretch knit panel inset, front and back raglans, and side panels. For storage > 2 front patch pockets and 1 small outer pocket on left. In addition, there is a practical utility ring at the left pocket, pen slots and side slits. 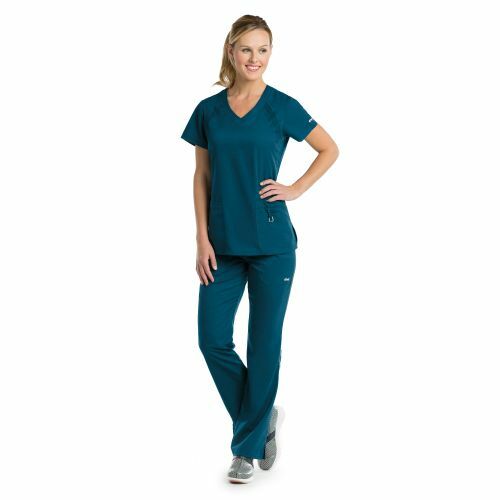 The Grey's Anatomy Active 41447 Inset V-Neck Knit Scrub Top features a stretch knit panel inset, front and back raglans, and side panels. For storage > 2 front patch pockets and 1 small outer pocket on left. In addition, there is a practical utility ring at the left pocket, pen slots and side slits.